1. In this minimalist kitchen, fine matte black laminate and marble-look porcelain were used in the design of the islands, and a large black box hides the essentials of the kitchen. Inside there’s plenty of storage, an additional butlers sink and extra prep space. See more photos of this home, here. Designed by Sarah Waller. Photography by Paul Smith. 2. Multiple levels are tucked between curved concrete to create various platforms for living in this house. See more photos of this project, here. Designed by Archimedia. Photography by Patrick Reynolds. 3. 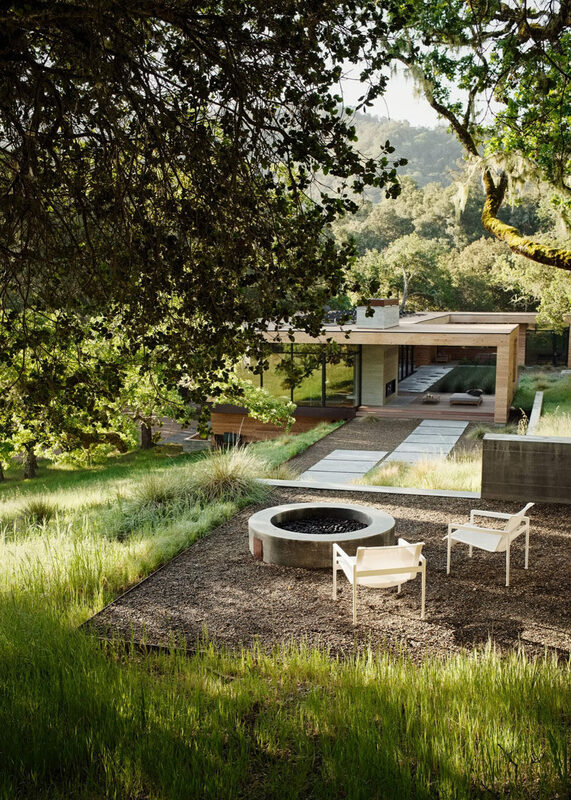 This home has a firepit that’s reached by a landscaped path. See more photos of this project, here. 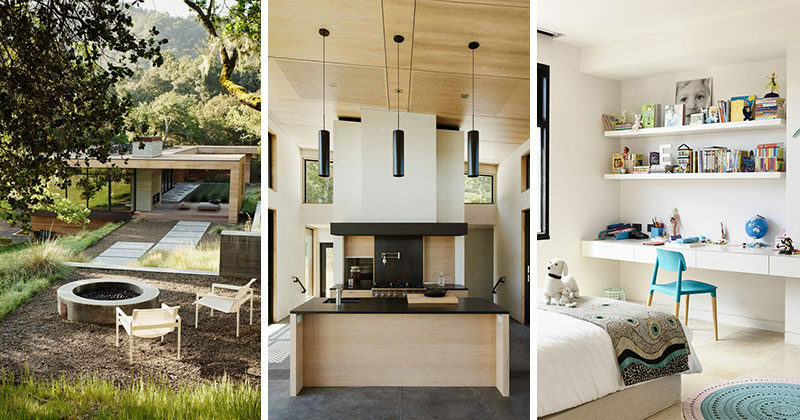 Designed by Sagan Piechota Architecture. Photography by Joe Fletcher. 4. Essentials For Kids Homework Stations. Customizing the desk or table to their height makes it less likely for them to fidget as they try to reach their work surface. See more examples of homework stations, here, and more photos of this home, here. Designed by Steve Domoney Architecture. Photography by Derek Swalwell. 5. 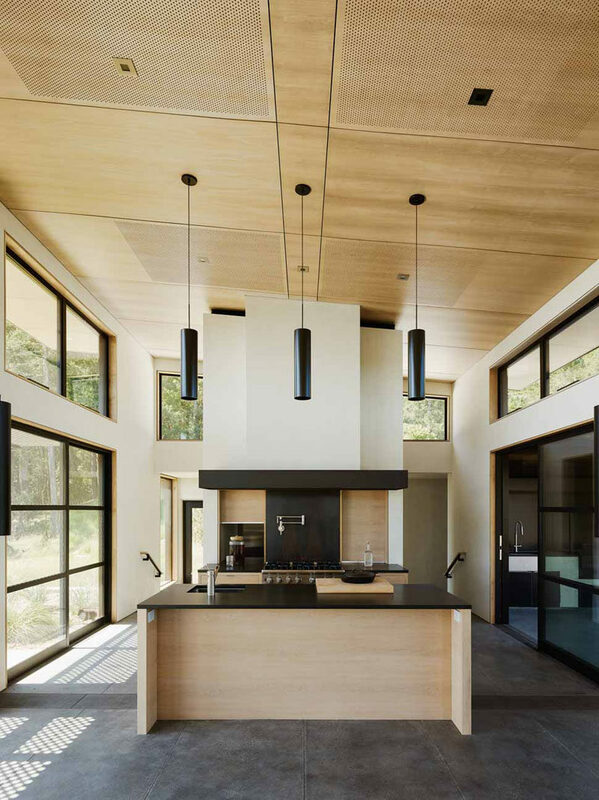 High ceilings and lots of windows let plenty of light into this wood kitchen. Black accents match the window and door frames surrounding the kitchen. See more photos of this project, here. Designed by Feldman Architecture. Photography by Joe Fletcher.